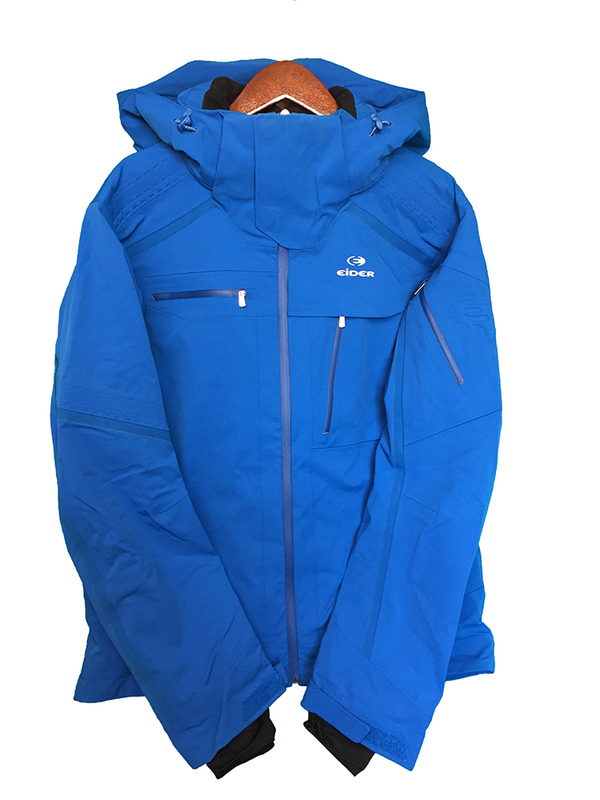 "The Niseko Jacket is a high-performance resort jacket, created for the modern skier who demands technical features and sophisticated style. Something refreshingly different for the on-piste skier, the Niseko Jacket is a high-performance resort jacket disguised beneath urban-inspired, sophisticated style. Defender 4-way stretch fabric provides optimum freedom of movement, while maintaining the highest level of waterproofness and breathability, and the Primaloft insulation offers long-lasting, breathable warmth. The Niseko mix of top-of-the-line features provide functionality for a full day on the mountain, while its understated, clean style and athletic cut, make it the jacket of choice for style-driven men. A true covet-piece for today resort skier. Offers optimal protection against snow, even if freshly fallen. This zip-off snow skirt lets you convert your ski jacket for other uses. Built as an extension of the cuffs, inner cuffs retain interior warmth while protecting you from snow and wind. Insulation : PRIMALOFT SILVER ECO 60g // 30% POLYESTER 70% RECYCLED POLYESTER"